Unionists have slammed a Parades Commission ruling that is to prevent a flute band from taking part in an annual parade in Rasharkin this Friday night. The Dervock Young Defenders Flute Band are banned from the Co Antrim event following what the Parades Commission have said was ‘rowdy and antagonistic behaviour’ on July 12. Members of the band were involved in an incident on the Twelfth in Ballycastle with republican councillor Padraig McShane. 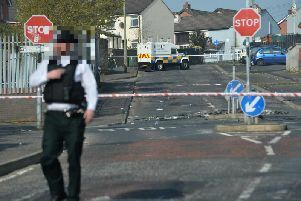 Jim Allister, MLA for North Antrim, pointed out that Mr McShane had been arrested that day, and not members of the band. Ballymoney DUP Councillor, John Finlay, accused the Parades Commission of panding to a “republican agenda”. He said: “In recent years, I have been very critical of the Parades Commission’s determinations in relation to the annual Ballymaconnelly Sons of Conquerors Flute Band parade in Rasharkin. The Commission seems to make its decisions based largely on republican complaints and threats, and this year is no different. However, matters have been made even worse this year by the bizarre decision to ban Dervock Young Defenders Flute Band from taking part. “Not surprisingly, Sinn Fein MLA for North Antrim, Daithi McKay, has welcomed this latest attack on our Protestant and Unionist heritage. He has the audacity to state that the Dervock band is being excluded in response to representations from the local residents group and himself about the band’s alleged behaviour at and this year’s Twelfth of July in Ballycastle.